Life’s Masterplan for you has no flaws! If you are still alive means you will survive to tell the tale. Many times in a Lifetime, you encounter situations when you say you cannot go on. That you would much rather die than undergo this ordeal called Life. That you want to give up. When every door seems shut on you, when darkness engulfs you, when you see no way out and you are in the throes of despair and fear, check your pulse. Listen to your heart beat. Hear yourself breathing. If you are alive, it means it is not over yet. Stop looking for external signals for hope and revival. Look within. You will find the light of your soul as blinding in its radiance as it is comforting. “That which does not kill us makes us stronger,” said Friedrich Nietzsche, the 19th Century German philosopher and poet. Know that this is true. This is what Life is all about. I am not a serious MasterChef Australia watcher on TV. But I am glad I watched a recent episode of Season 6 of the show. Celebrity British chef, Marco Pierre White, 52, was the guest judge that week. The Guardian has called Marco kitchen’s enfant terrible and one part Hannibal Lecter (a fictional character who is a brilliant psychiatrist and cannibalistic serial killer in a series of suspense novels by Thomas Harris) and one part Yoda (a fictional character, a powerful Jedi Master, in George Lucas’ Star Wars universe). Marco has been dubbed the godfather of modern cooking, having been the youngest chef to have ever been awarded three Michelin stars. 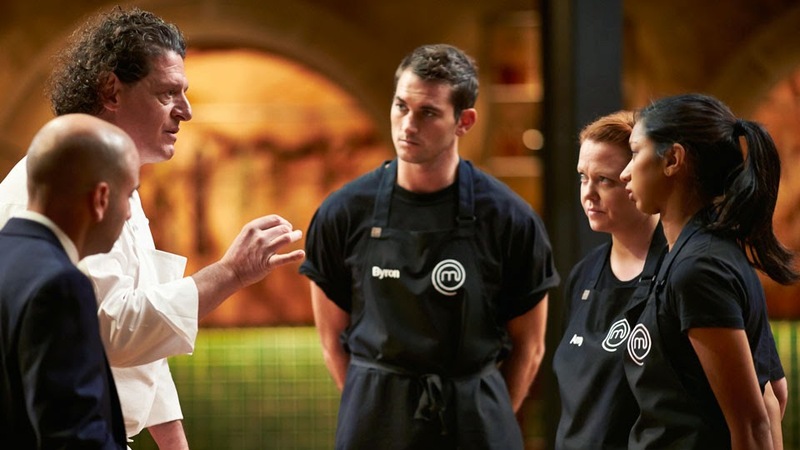 With Marco prowling around the MasterChef kitchen the three contestants that evening were obviously nervous beyond description. One of them, who did not make the grade, would be eliminated from the contest that night! They were to make one of Marco’s own signature dishes, a roast pigeon ravioli, based on his own recipe and serve it back him and the other three judges! They had to do this in an incredible 60 minutes. As the 60 minutes ticked away, Tash Shan, 27, a social media manager from the Australian Capital Territory that includes Canberra, was aghast that she had not finished the dish per Marco’s recipe. So, there she was, at 60 minutes, with a dish which, in her opinion, was “incomplete”. When she presented her “incomplete” dish to the judges, Marco asked her how she was feeling. “I feel I have lost this contest and that I will be sent home,” replied Tash. Tash survived that episode. But more importantly she learnt a big, big Life lesson from a Master. Marco’s message is applicable to all of us too. This Life isn’t about winning or losing. It isn’t about acquiring and owning, gaining and securing, material assets. If at the end of the day, you have had a million experiences in a lifetime and have learnt from each of them, you are the biggest millionaire around! It is through the experiences that we are put through that Life will mold us and make us into a flawless piece of work to fulfill a larger cosmic design, a Masterplan. And remember, Life’s Masterplan for each of us has NO FLAWS! Author AVIS ViswanathanPosted on June 25, 2014 March 14, 2016 Categories Art of Living, http://schemas.google.com/blogger/2008/kind#post, Inner Peace, Intelligent Living, Marco Pierre White, MasterChef Australia Season 6, Masterplan, Tash ShanLeave a comment on Life’s Masterplan for you has no flaws!